The independent Nottingham law firm. At Actons Solicitors, we are very proud to be one of the leading independent law firms in Nottingham. Having been based in Nottingham for over 200 years, our long-standing reputation is based not only on providing top quality legal advice - but on developing long term, mutually beneficial relationships. We try not to sit on the fence. We've built a team of down-to-earth lawyers, who know that at the heart of providing you with exceptional service is listening and understanding what you want to achieve. I am very proud that Actons is a leading independent law firm in Nottingham. We spend time listening and getting to know our clients. This makes our job much more enjoyable and helps you achieve your goals. Based on that time spent getting to know you, our aim is to become your trusted advisor – whether that’s for your business or in a personal context. Actons will continue to grow, whilst remaining a strong, independent law firm that builds long term relationships with our clients. For you, that means you’ll continue to have access to the best advice, directly from some of the best lawyers. I’m often asked what’s behind our ongoing success. It’s got to be our strong, enthusiastic team who enjoy helping our clients, and making a difference. What do you want to achieve? That’s where we start. Our teams of specialist solicitors will then be able to advise you with the sole intention of delivering positive results - every time. "Because of delays from "the other side" the transaction took a very long time (7 months for assignment of a lease) but the matter was handled with tremendous patience and understanding." "Actons’ property practice recently acted for a number of banks on the refinancing of an industrial site, and separately assisted several local developers on plot sales. 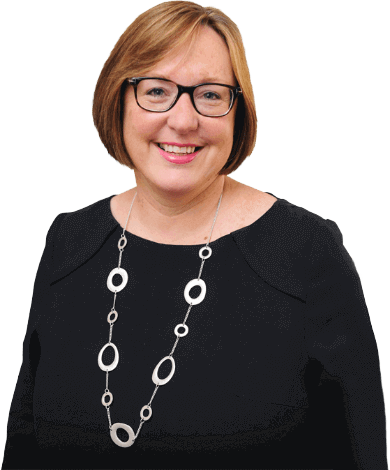 Director Amanda Gordon regularly undertakes freehold and leasehold work." If ever anyone is to ask for a great solicitor to fight in accordance with what Tom's specialised in, I'll always send them right his way! We have used Actons services on many occasions and always found the services exceptionally professional and of an extremely high level. Truly grateful to Peter Flowerday who provided legal help for us with impeccable standards. 100% recommended. "At every stage of my claim Gary Chadwick was clear, compassionate and totally professional. He was always available and happy to answer any questions and guided me through the whole process of making my claim. I can not fault Actons at all - they were excellent and I couldn't recommend them highly enough. Superb service, Thank you."